1 Chef. 5 Guests. 100 Courses. See dinner highlights by checking off the boxes in the menu below and pushing play. Or, watch the entire dinner. We dare you. Seize the meal and all that comes with it. Have you ever found yourself at a dinner with dishes and stories so delicious you never wanted it to end? So did we. 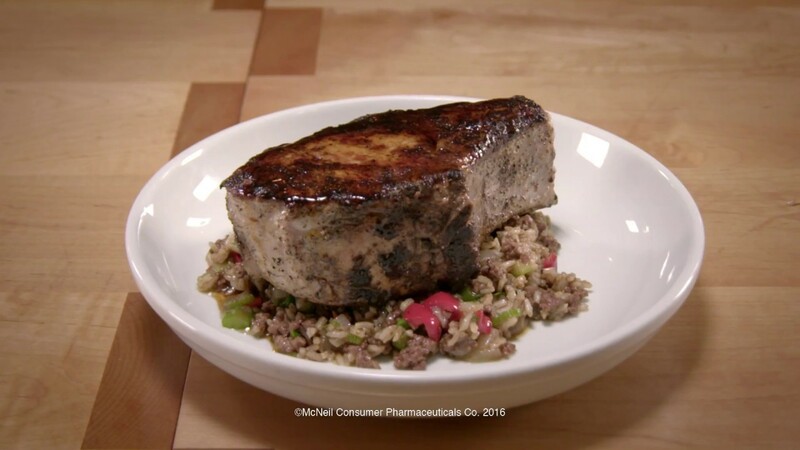 So, PEPCID COMPLETE® challenged Chef Isaac Toups to create his first-ever 100 Course Dinner. Yep. 100 courses. Then, we invited five influential food enthusiasts to a truly epic meal. *Based on 8 hours of symptom relief studies during the day. Get to know the man behind the massive menu. Just how much planning went into the dinner? We'll give you a hint. A lot. Get the scoop on one of Chef Isaac's favorite menu items. A dish full of history and a whole lotta flavor. These brave food lovers made it through the epic dinner. Get to know them. Cooking food that’s closest to his heart has earned Chef Isaac Toups rave reviews at his restaurant Toups' Meatery. His style is the result of growing up in the heart of Cajun country and a decade of experience in Emeril Lagasse's New Orleans kitchens. Deep familial southern roots contributed to his unique “born and braised” approach that’s all about layering flavors. A 2014 & 2015 James Beard Semi-finalist for "Best Chef of the South," Isaac says, "All I have ever wanted to do is to offer my version of Cajun cuisine and to recreate the dining experience around my family's table." New Orleans-based food writer Ian McNulty covers the trends, reviews new restaurants, and explores the culture, character and personality of one of America's most food-obsessed cities. He is a staff writer for the daily newspaper, The New Orleans Advocate, and his radio commentary Where Y’Eat airs on local NPR affiliate WWNO. He is the author of Louisiana Rambles: Exploring America's Cajun and Creole Heartland, and A Season of Night: New Orleans Life After Katrina. Food personality, culinary teacher and author Poppy Tooker is passionate about food and the people who bring it to the table. 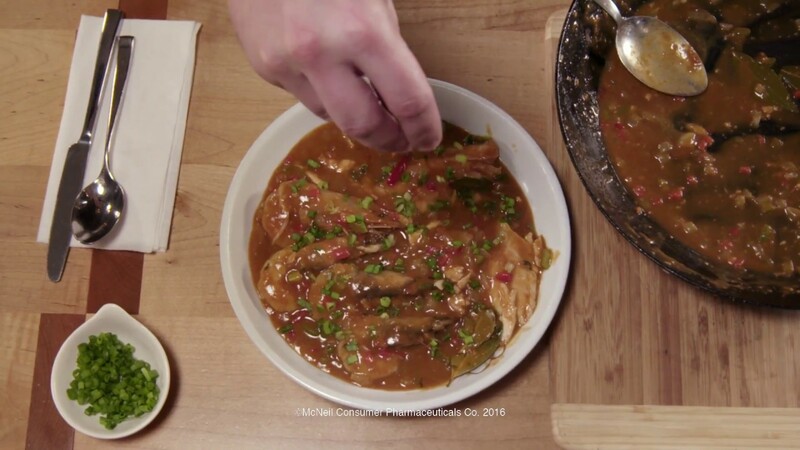 Poppy brings all of these elements to the table in her weekly NPR-affiliated radio show Louisiana Eats!, recently named 2014's Best Radio Show by the New Orleans Press Club. She provides weekly restaurant commentary on the PBS show, Steppin’ Out, seen on WYES TV. Katie Workman is the author of Dinner Solved! and The Mom 100 Cookbook. She is a columnist for the Associated Press, Eating Well magazine, and FoodNetwork.com. Her food articles have also appeared in The Wall Street Journal, Better Homes and Gardens, Cooking Light, Parents, Every Day with Rachael Ray, New York magazine, and many others. She posts regularly on her blog, themom100.com. Katie is also a regular contributor to NPR. She sits on the board of City Harvest, New York’s leading food rescue nonprofit, and lives with her husband and two children in New York City. Lolis Eric Elie is a New Orleans-born, Los Angeles-based writer and filmmaker. Most recently, he joined the writing staff of the AMC television show Hell on Wheels. Before that, he wrote for the HBO series Treme. Working with the award-winning director Dawn Logsdon, he co-produced and wrote the PBS documentary Faubourg Treme: The Untold Story of Black New Orleans. His essay, "America’s Greatest Hits," is included in Best African American Essays: 2009. Nik Sharma is a former molecular biologist turned commercial food photographer and food blogger based in Oakland, CA. He also writes a regular Sunday recipe column for the San Francisco Chronicle and has won numerous awards for his photography. His unique style of photography and approach to food was recently the subject of a PBS documentary titled "PBS/KQED: Discover the Hands behind Nik Sharma's Food Photography" Some of his clients include, Saveur, Jarry Mag, Edible Silicon Valley, Food52, the Kitchn, Williams Sonoma, West Elm, Pottery Barn, among others. See how Chef Isaac Toups' masterfully orchestrated 100 courses to reward the palette. It flows from light to savory within movements of sea, air, garden and land, with a few surprises along the way. Keep scrolling to experience the meal as it unfolded. ©McNeil Consumer Pharmaceuticals Co. 1998 - 2016. All rights reserved. The site is published by McNeil Consumer Pharmaceuticals Co., which is solely responsible for its content. The website and its content are intended for USA audiences only. Questions or comments? Call 1-800-755-4008 (English) or 1-888-466-8746 (Spanish) or click here for Customer Service.